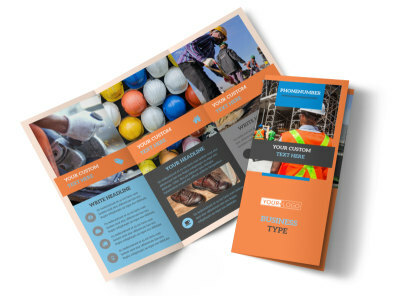 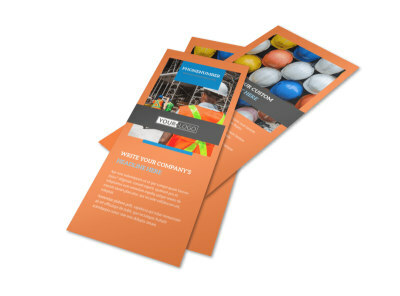 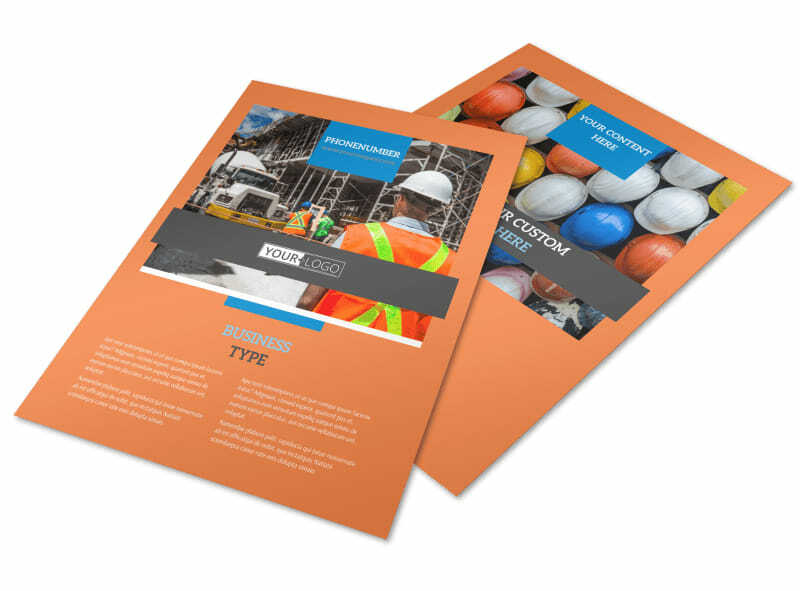 Customize our Construction Safety Flyer Template and more! 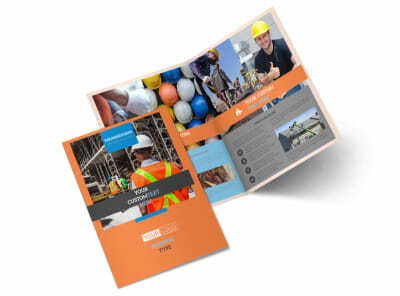 Keep safety foremost in mind with construction safety flyers you design from the floor up. 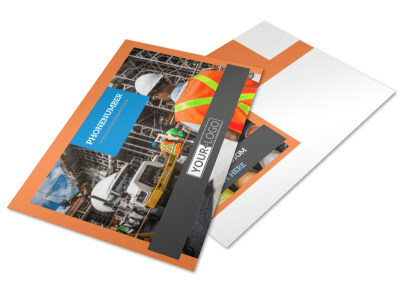 Browse our industry-specific templates, pick a design and layout, and then hone your message with text and photos to detail your expertise and service offerings. 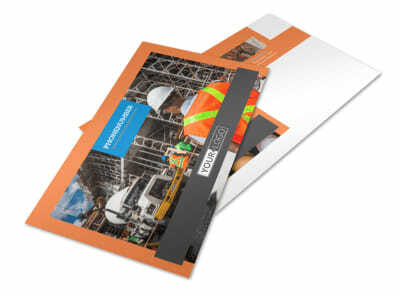 We offer pro printing using premium materials, or you can print your flyers yourself using your own printer.